Comedian Chris Addison is to star in The Royal Opera's new production of Emmanuel Chabrier’s L’Étoile. The double Perrier Award-nominated stand-up has been cast as Smith in Mariame Clément's production, an acting part the director has created to provide a stereotypically English commentary on the opera’s absurd events. Audiences may know Addison as Ollie Reeder in the BBC's dark political satire The Thick of It, and as Toby Wright in the subsequent film In the Loop. Addison also regularly appears on panel shows such as Mock the Week, Have I Got News for You, 8 Out of 10 Cats and QI. His other acting credits include performances in Doctor Who, the comedy series Trying Again and as headmaster David Blood in Skins. Addison will be joined by the French actor Jean-Luc Vincent on stage. Vincent has been cast as Dupont, a second acting role created by Clément to comment on the action from a French perspective. L’Étoile is an anarchically comic fairytale with a ridiculous plot and darkly humorous twists and turns. Mark Elder will conduct the Orchestra of the Royal Opera House during L’Etoile's run this Season – the first time the opera has been performed at Covent Garden. Oh dear. Why? Nothing against either actor, but is this the right place for them? The problem with these additions tends to be that (a) the script sticks out like a sore thumb and either overshadows the opera or drags it down; and (b) it becomes a production about the opera rather than of it. This is a little masterpiece. It's hilarious and honestly needs no commentary from anyone's point of view. This was a wonderful opportunity with a great cast and conductor get it better known. I'm worried that Clement doesn't appear to be able to trust it and the audience. Adding a commentary looks like desperation. I hope the script-writer can match the sparkle of the original. I don't envy them. I suppose you might be trying to attract some Addison fans for those tickets that are "still available" - presumably quite a lot. Good luck with that. This does not augur well. If Chabrier wanted a "stereotypically english commentary" or even a "french perspective" he would have included it his composition, wouldn't he? Smacks of lack of faith in the piece and I am expecting the worst but then what's one more travesty amongst the recent pale imitations of cutting edge regie on the boards of ROH? When a performer is unexpectedly unavailable, we are often able to exchange tickets for another production. Does this apply when a performer is unexpectedly available, please? My heart sank when I heard about this and it made me feel really depressed. The opera is funny enough without having some stand-up comedian (who I never heard of before as I dislike that form of entertainment) appearing in it. I had been looking forward to seeing the production but now I am dreading it. I was looking forward to seeing this but not now. I've never heard of Chris Addison. I don't like stand-up comedians as I don't think them very funny when you analyse what they actually say. But, because they are an 'accepted wit' people seem to think they must laugh - WS Gilbert writing Yeomen of the Guard in 1888 summed it up well when Jack Point says "How they laugh. 'Twas ever thus with simple folk. An accepted wit has but to say 'pass the mustard' and they roar their ribs out". This is another case of "director's opera" in that the director thinks that what is there 'needs clarity' and has to put his/her stamp on it so that it will be known as "Clément's L'Etoile" and not "Chabrier's L'Etoile". The ROH needs to get a grip on things or else it is in danger of becoming another ENO. I also do not welcome this. And why was such a major addition not announced in the season brochure. Season brochures are published well ahead of time, and while we include as much information as we can at that time, occasionally amends or additions are added as the creative team's work develops. This is one such addition. For the most up-to-date information around productions, I'd recommend keeping an eye on this site, as well as our social media channels. I tend to agree with the comments above.But hey!...let's not pre-empt how things are going to turn out. You never know,we might all just enjoy it! And we don't yet know what the exact role of this (unknown to me) comedian is. I was treating myself to L'Etoile because I enjoyed it so much when Lyon Opera brought it to Edinburgh many years ago. Now that I've seen what is being done to it I'm really not looking forward to it at all. I still bristle every time I recall a similar exercise perpetrated on Die Fledermaus/Previn on the South Bank years ago. L'Etoile is a little masterpiece and should not be maltreated in this way. Oh dear. This sort of nonsense is exactly why I haven't renewed my Supporting Friend membership (not that anyone's bothered to ask why). Sorry to hear you won't be renewing your Supporting Friend membership. I believe the Friends Office have been in contact via email. I don't think we should pre-judge until we have seen the production. I do, however, hope it matches up to a wonderful production that Opera North gave in Leeds many years ago. I saw it several times, including one with a my very young daughter. It was hilarious and full of wonderful tunes. We thoroughly enjoyed it. I have just booked fior 24th February so do hope I am not disappointed! 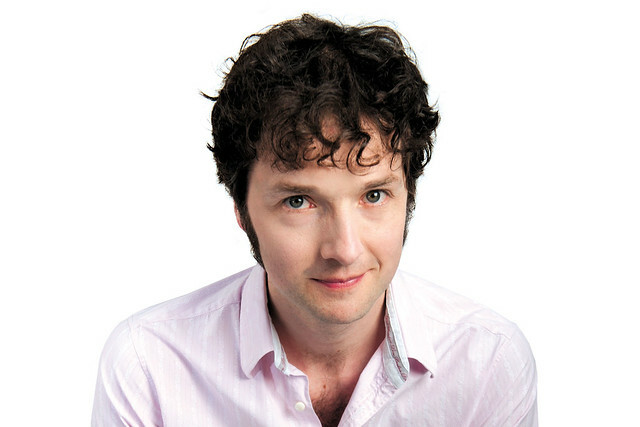 Perhaps Chris Addison's inclusion will tempt younger folk to the opera. Hopefully they'll enjoy this production and come back for more. That can't be a bad thing. I for one am looking forward to this production more now than before. I thought most of the comments above are hilarious and I hope Chris Addison will use them as material in his comedy routines. Why are people so incurious? What is this terrible urge to condemn a more imaginative approach? I really don't understand this fundamentalist literalist tendency in ROH audiences. I was also looking forward to this, but now fear this will ruin the entire performance. This sort of stuff just doesn't belong here.